S.H: How did you get into running? JL: My father ran for Law & District AC and he took me along to the young athletes training there. When he went out running from home I used to run a couple of miles with him before he went on a longer run. He was a good quality runner with a marathon best of 2:37 and a top 30 finish in the National cross country championships. Fortunately I have now managed to achieve one of my lifetime aims of beating all his best times! S.H: What is your biggest achievement? 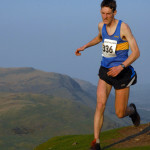 JL: Winning the 2008 World Long Distance Mountain Challenge winner which was held as part of the famous Three Peaks fell race in Yorkshire although my marathon best of 2:24 (London, 2009) comes a close second. S.H: What is your goal in athletics? 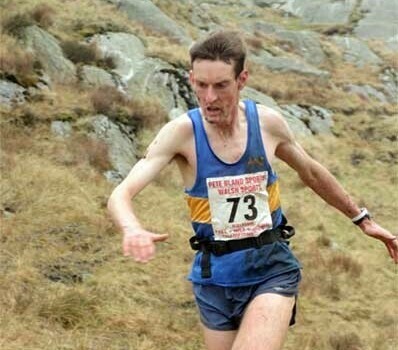 JL: Having finished 2nd twice in the British Fell Running Championships it would be great to win it one year. However now that I am in my mid thirties I have my eye on longer endurance races and I would love to win the West Highland Way race, complete the Tour du Mont Blanc (ultra race in the Alps) and have a lifelong ambition to compete in the Marathon des Sables. I am currently injured so my for now my ambition is just to be able to run around PollokPark pain free!! S.H: How often do you train? JL: When marathon training I was running around 90 miles a week, often training twice a day. When training for hill races the weekly mileage is around 80 with more, tough hill runs. Note: I built up to this mileage over the period of around 8 years and was not until my later twenties that I was running this much. S.H: Who do you admire in sport? Coming from the same generation as me I have always admired Paula Radcliffe. Once when she came to Glasgow I asked her after a training session if she would run a mountain marathon with me. She politely declined. I think it would have made the perfect partnership!! S.H: What other sports do you play? I love cycling and I have two bikes and no car. I mainly use my bikes to get from A to B rather than going on cycle rides. An 8 mile commute to work keeps my fitness levels up. I love watching and following most sports. I always enjoyed playing other sports but I was never very good at them. One of the things that attracted me to running was that it was the only sport I could beat my brother at!! Recently I have taken up yoga in a bid to keep flexible and prolong my running career.